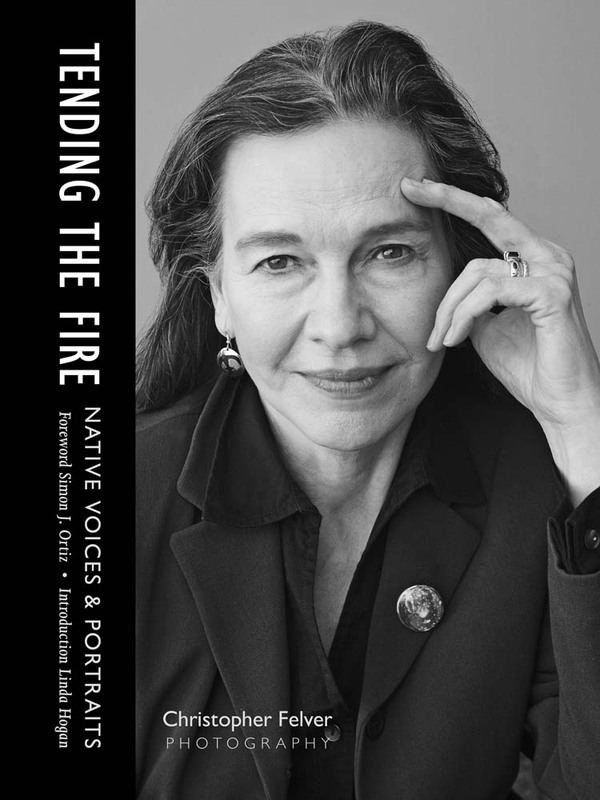 Christopher Felver’s Tending the Fire celebrates the poets and writers who represent the wide range of Native American voices in literature today. In these commanding portraits, Felver’s distinctive visual signature and unobtrusive presence capture each artist’s strength, integrity, and character. Accompanying each portrait is a handwritten poem or prose piece that helps reveal the origin of the poet’s language and legends. As the individuals share their unique voices, Tending the Fire introduces us to the diversity and complexity of Native culture through the authors’ generous and passionate stories. Christopher Felver’s previous books include American Jukebox: A Photographic Journey, The Importance of Being, The Late Great Allen Ginsberg: A Photo Biography, The Poet Exposed, and Ferlinghetti Portrait. His photographs are distributed worldwide and collected by museums and university libraries. They have been featured in international exhibitions, including the Centre Pompidou, London’s National Theatre, the Whitney Museum of American Art, the National Gallery of Art, and MOCA.